Hi! My name is Wilson! I'm new to Summit Dog Rescue and such a sweetie that they're putting me on the official dog page! 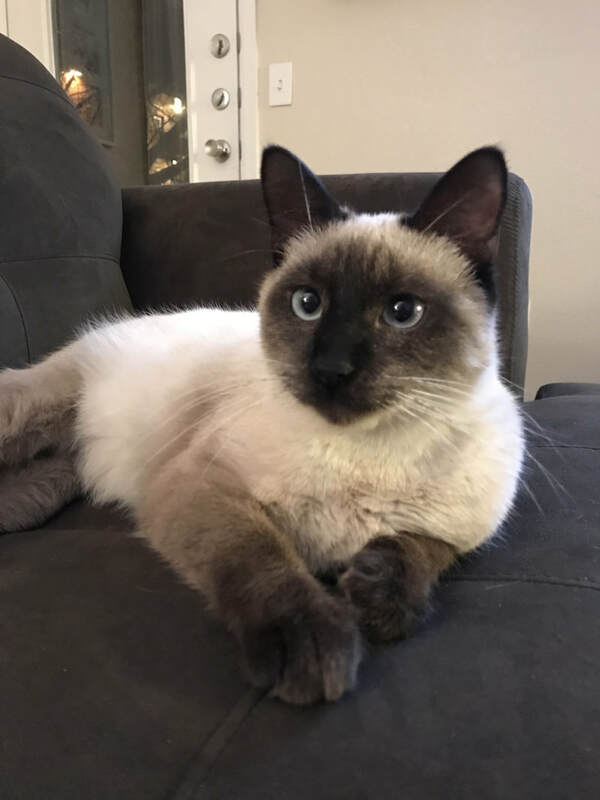 My foster mom says I am a Siamese cat, and that means I’m really handsome with beautiful markings. I had a rough start to my life so I’m slowly learning to trust people again with the help of some really great folks who are showing me lots of love. I get along with dogs as long as they don’t try any crazy Kung Fu moves on me! I love to snuggle on your lap when you’re home and I love to play with my toys. Summit Dog Rescue is saying No Kids in my forever home, please and thanks, as I need a quiet home to live in.